The Asics Gel Contend 4 is a low-mileage running shoe intended for beginners who may use this shoe for running and other activities. 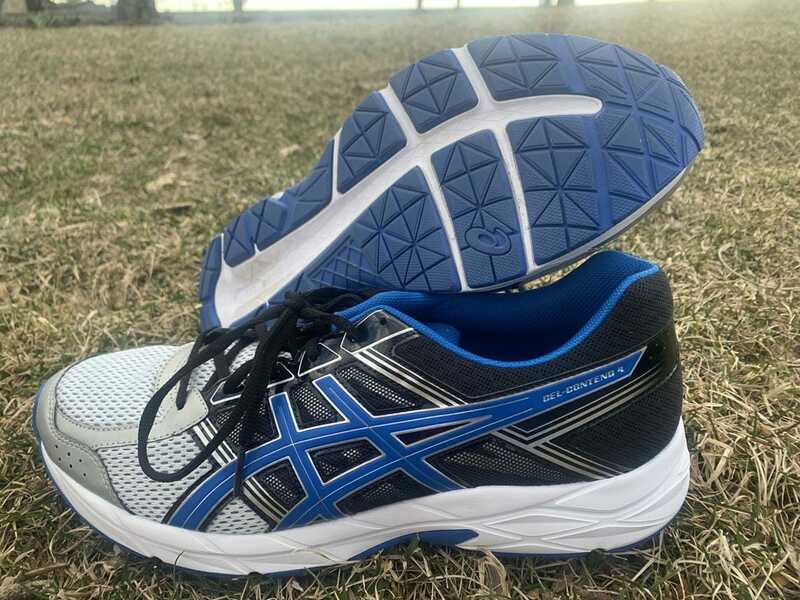 The Gel Contend 4 truly would only be comfortable for short distances as advertised but can be valuable to some as the shoe is very well made and durable considering the lower price point. The Asics Gel Contend 4 is for beginner runners or those looking to supplement other training with short runs. Perfect for wear for a few miles on the road or treadmill and people looking for no more. 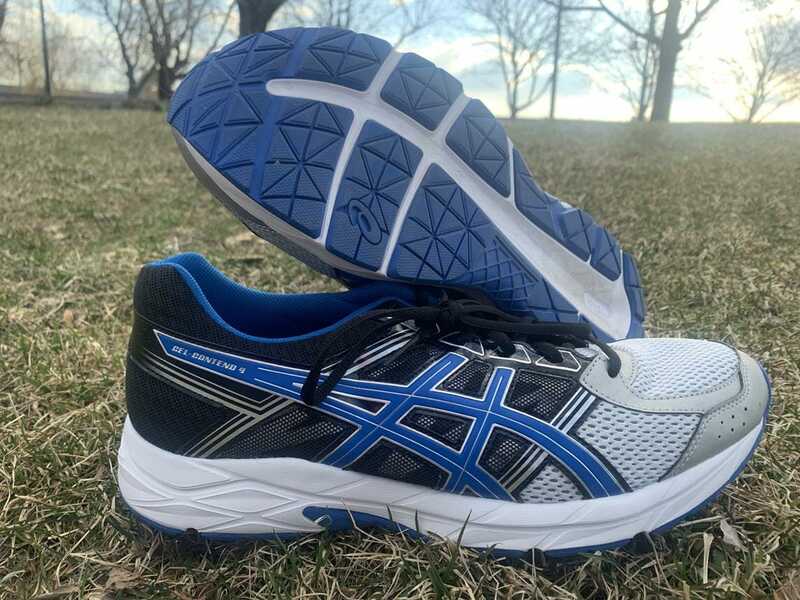 Made for low-mileage runners at a cheaper price than other Asics options the Gel-Contend 4 is a budget-friendly training option that can be used for beginner runners. Unlike the neutral lineup for Asics, the Gel-Contend 4 comes with very basic features to keep the shoe at a lower price point. The highlights of the Gel-Contend 4 is a laminate mid cage for extra durability and stability, with rearfoot Gel technology similar to the cushioning seen in other options such as the Cumulus and Nimbus. Unboxing the Gel-Contend 4 for the first time I was met with a shoe that appeared well constructed but clearly a not top-of-the-line model. The Gel-Contend 4 has long stretches of a laminate material up the mid cage with stitches along every seam on the outer. It appeared to be durable yet inflexible outside of one flexible groove spot under the forefoot. Putting the Gel-Contend 4 on highlighted that the lamanite outer material made the midfoot more stable, yet a tighter fit. 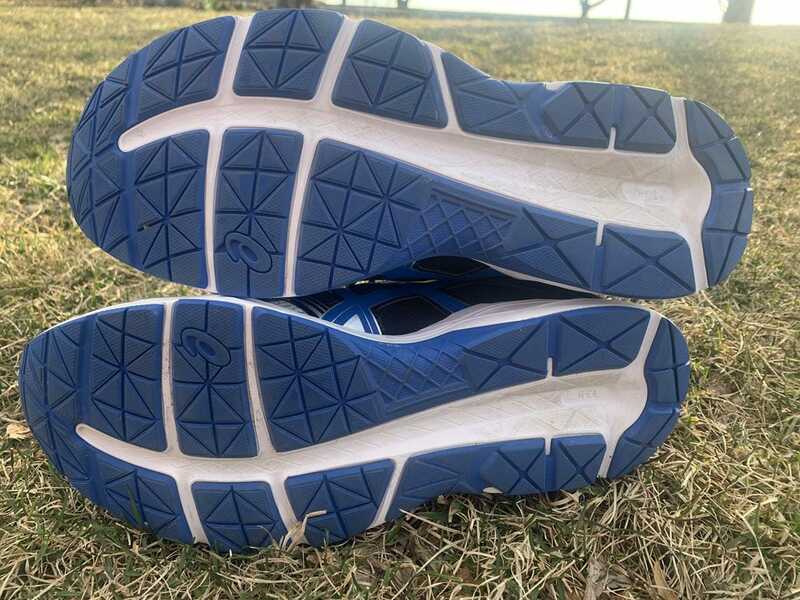 Running in the Gel-Contend 4 confirmed the initial suspicion about the how the Gel-Contend 4 is rigid with the exception of one point in the forefoot which aligns with a deeper cut groove that cuts horizontal to the foot. Other than that groove the Gel-Contend 4 is a rigid runner with a firm feeling. It may be useful to newer runners who won’t be running for long periods of time or for too many miles. 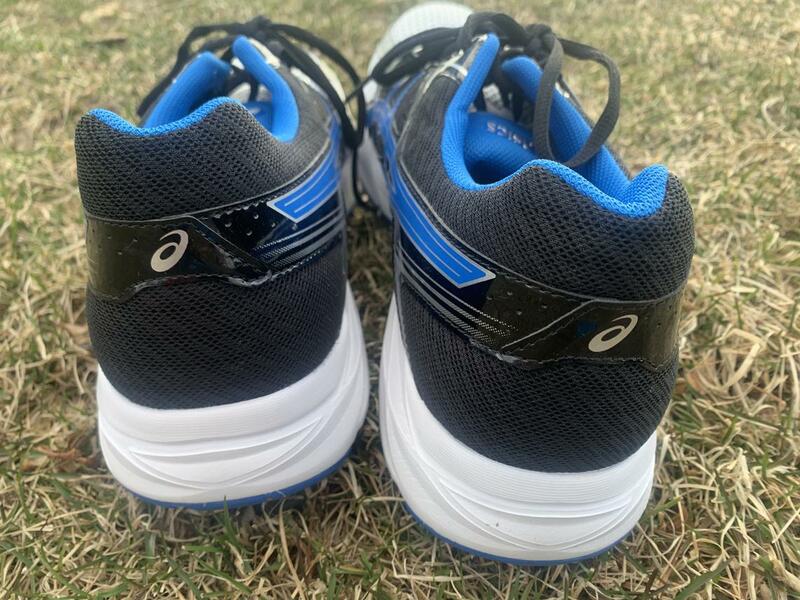 The highlight of the Gel-Contend 4 is the Gel cushioning unit in the heel. 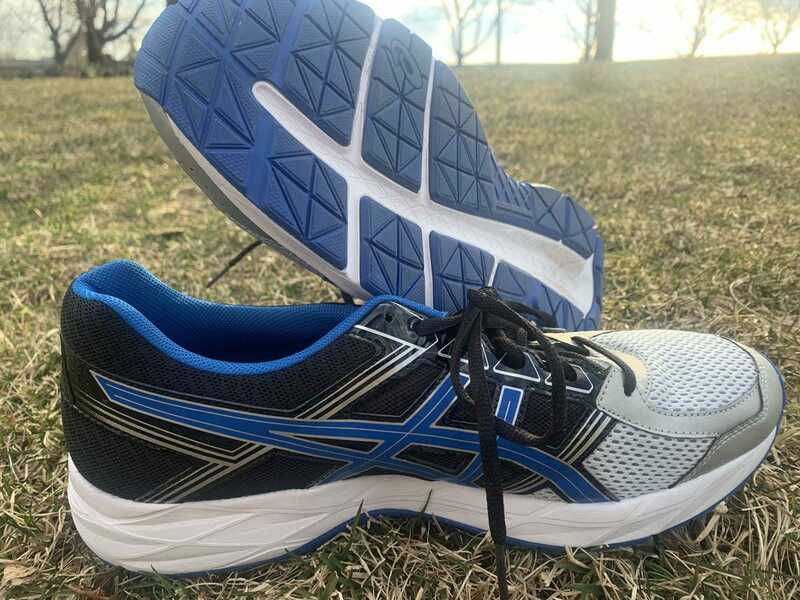 Unlike other Asics models where the shoe physically shows the Gel cushioning, in the Gel-Contend the Gel is hidden. This rearfoot cushioning does make for a softer heel than fore and midfoot which is a plus in a firmer shoe for beginners and heel-striking runners. Besides the additional cushioning in the heel the sole is comprised of EVA material with a thick rubber outsole. Grooves within the rubber outsole are to promote flexibility. The upper of the Gel-Contend 4 consists of multiple overlays to create a midcage of a laminate material to lock down the foot, a rigid heel-cup and a wide toe box for comfort. A breathable mesh makes up a majority of the toe box and tongue areas of the Gel-Contend 4. The laces are sufficient in length and there is no additional eyelet for a lace lock lacing pattern. Generally speaking with running shoes you get what you pay for. 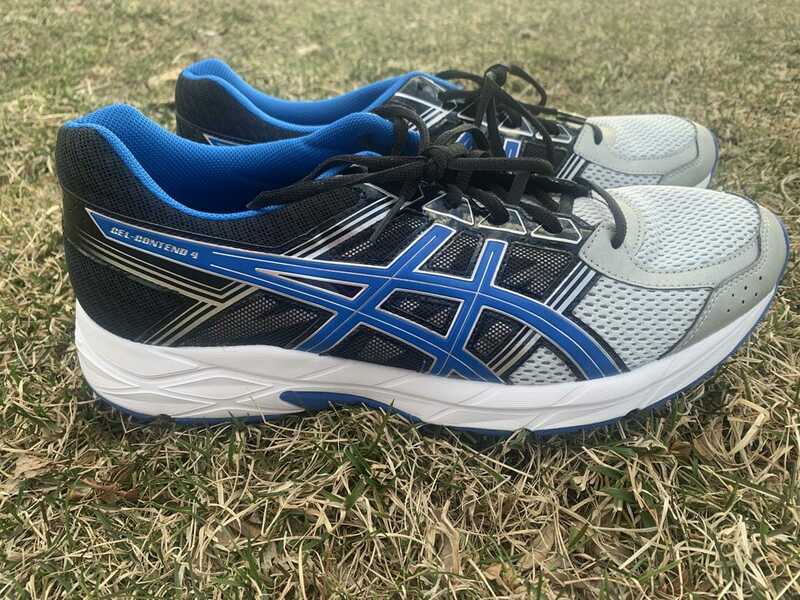 The Gel-Contend 4 is a budget friendly entry level running shoe. There a no major bells or whistles that give the runner a wow factor, improve performance or significant feel. However for the price the Gel-Contend 4 can make some low-mileage runners content. A good idea for how well a shoe works for you and your foot is to listen to it when you run. When you wear a shoe is it disappearing on your foot where you don’t hear it hit the ground and don’t think about it. Is the ride smooth to you? Unfortunately for the Gel-Contend 4 and myself, it did not pass the disappeared test. I felt and heard my foot slapping the ground in this trainer. And I believe some of that to be attributed to the rigidity of the shoe with only one specific spot that was flexible within the forefoot. 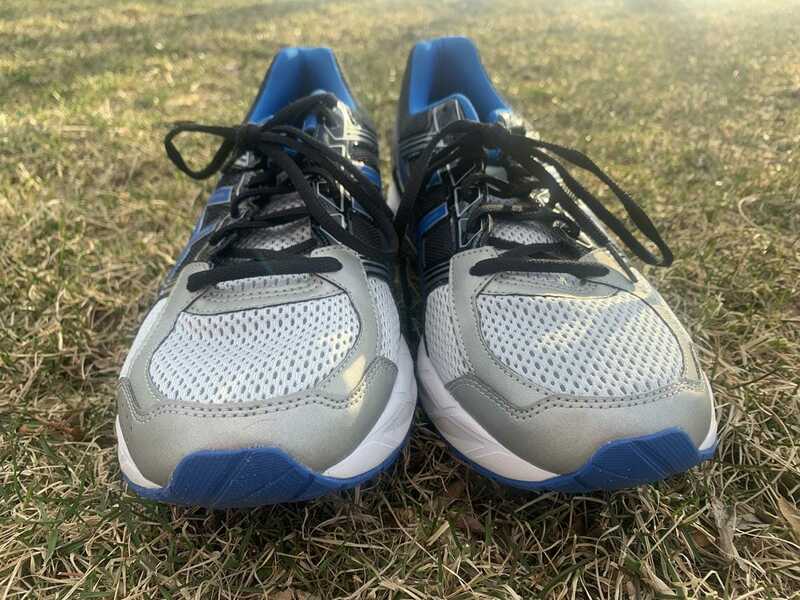 Over the course of longer distance runs the Gel-Contend 4 began to feel stiffer and unpleasant as would be expected for a self-proclaimed “low-mileage” shoes. However the Gel-Contend 4 did feel better on a treadmill, where there is inherent cushioning built in to the surface. Thus, people who run a few miles on a treadmill as part of other workouts could look to the Gel-Contend 4 as a useful trainer that won’t break the bank. One highlight of the Gel-Contend 4 that cannot be overlooked was the surprising durability. The thicker outsole rubber showed little wear over time. There are budget-friendly options such as the Gel-Contend 4, and cheap options. The Gel-Contend 4 is not a “cheap” shoe by any means as it is made well and will hold up for buyers over time. 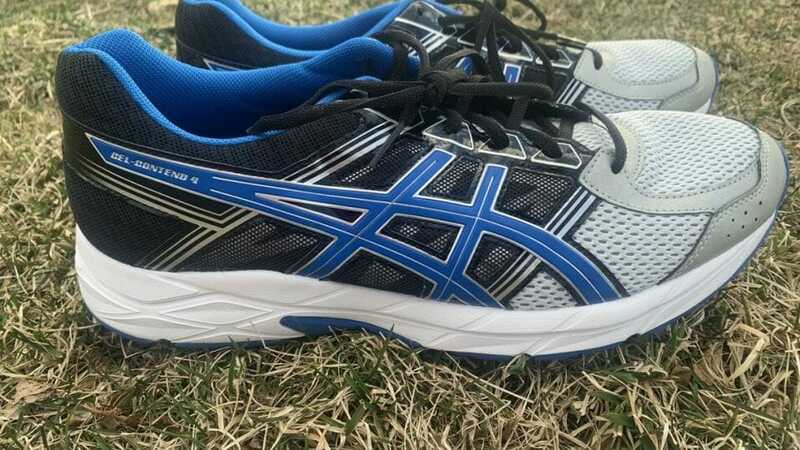 We purchased a pair of Asics Gel Contend 4 from amazon using our own money. This did not influence the outcome of this review, written after running more than 50 miles in them.